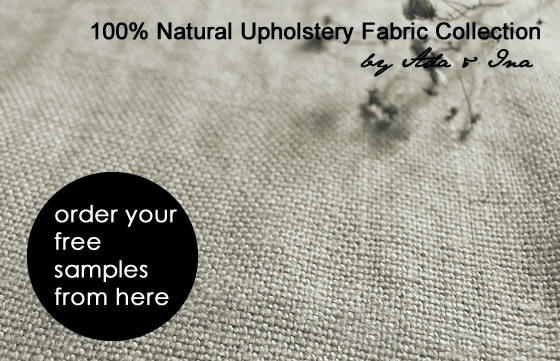 All Ada & Ina's Linen Fabrics are available for trade and wholesale customers in the UK at competitive prices. A large collection of natural fabrics in various weights for example curtains, upholstery and clothing. We have also a made to measure manufacturing serivce for linen curtains, blinds and cushions. Please contact us for more details. We are happy to quote you a price for small and larger fabric wholesale orders. "I like the flax for his odour, his dress, his elegance, his history. I like the flax, it is an eternal matter."